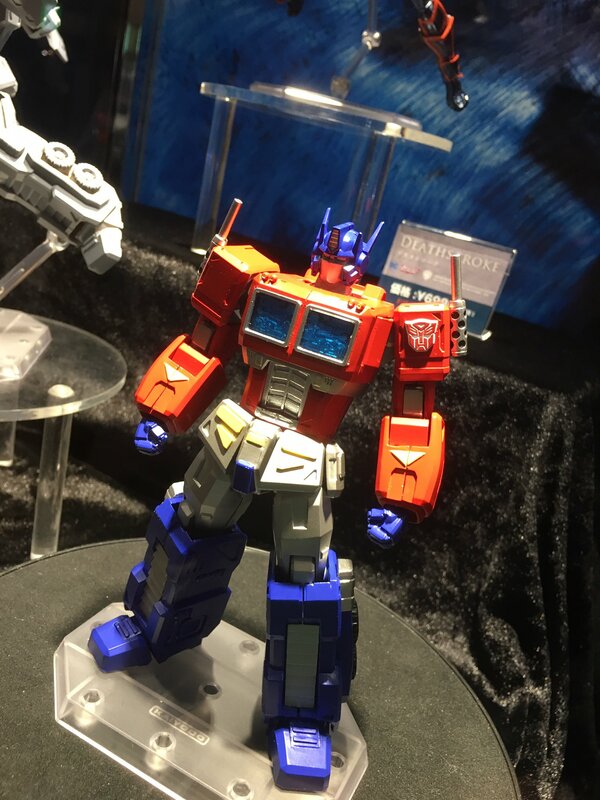 While not traditional transforming bots like the mints revealed by Takara Tomy, Revoltech is jumping back in the Transformers game with a new release of Optimus Prime under their Amazing Yamaguchi brand. This is a hyper stylized, super articulated action figure. 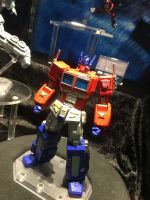 They’ve done many prior to this for Marvel and DC Comics characters, but now Optimus is getting the same treatment. 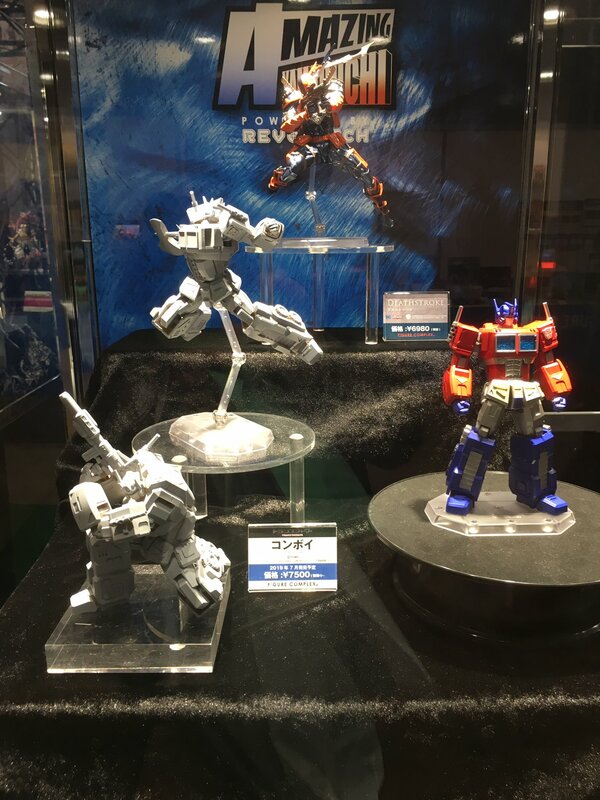 Revoltech Optimus Prime was well received when he came out years ago, so it’s nice to see another hit the market in this updated fashion. Read on to check the pics courtesy of @toratora264! Up for pre-order on BBTS for $89.99. Shows September 2019 release date. Any idea how tall this is going to be? WOW WTF?! That's a step in the right direction! Unfortunately, the long, and too square-looking abdomen kinda kill this for me, as otherwise, he looks a lot of fun. 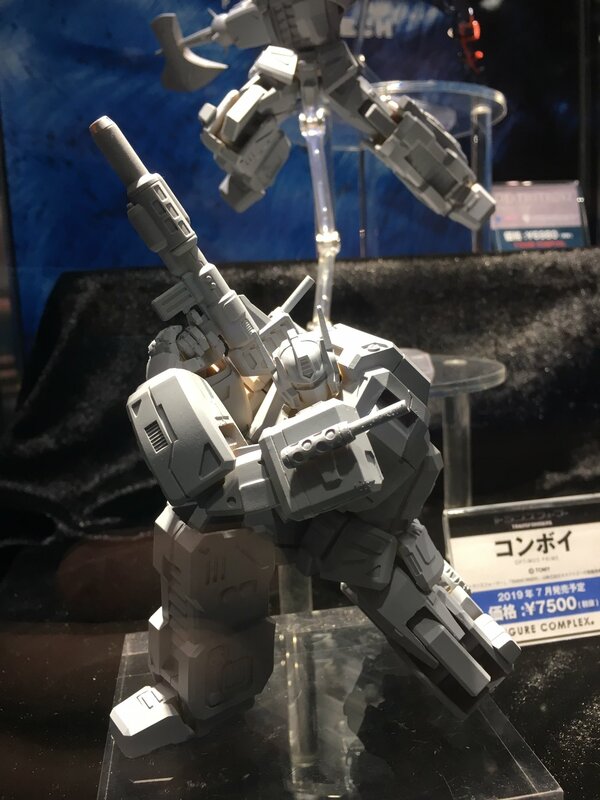 But I don't want the only poses this looks good in to be with his torso crunched. New high-res scans of Magazine Figure King No. 253 Transformers via Loopaza Mega Store's FB page showing off Revoltech's Kaiyodo Amazing Yamaguchi Optimus Prime! This I want. I have the reissue of the original revoltech toy and it has some issues, But this one looks a lot better IMHO. Does Revoltech have something for the Dreamwave design? 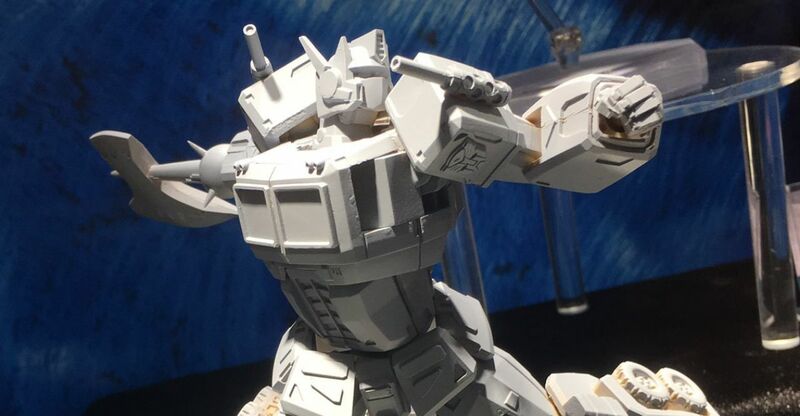 Because the last Revoltech G1 Prime was that, and Dreamwave is the first thing to pop into my head looking at this. Seems like the release date has been moved to August which makes sense, I was wondering why he wasn’t available for pre-order yet. They said this will be their first toy to use an ABS body and lack revol joints and PVC. It did say they are drawing inspirations from American Comics includinh Pat Lee. No size confirmed yet. 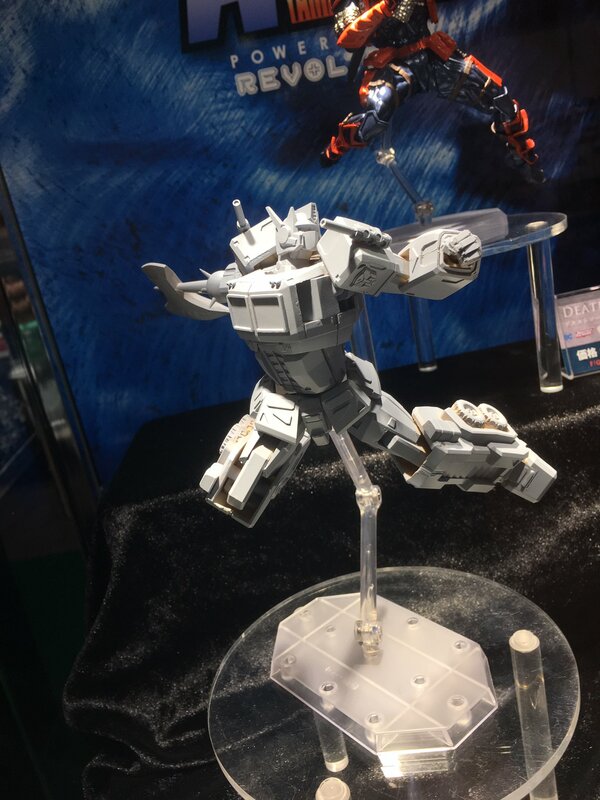 it's inspired by MP-10 too, the diagonal lines on the grill as well as the crotch and upper thigh detail, head too maybe. Weakest according to who? Because Revoltech's appeal is its superior articulation which often compromises on the sculpt. I'd assume that most Revoltech fans understand this and don't buy these figures to have the most screen-accurate representation, they get it to have a very good representation with excellent articulation. Figma figures may look gorgeous but they don't have the articulation of a Revoltech figure. I mean you literally just gave the major reason why. For collectors, figures looking the way they should is usually more important then neglible amounts of articulation. It’s pretty clear which is the vastly superior figure and it’s the same for most comparisons. In Kaiba’s case it’s also a stretch to say the Vulcalog has much more articulation then the Figma. Kaiyodo’s figures are consistently weaker then rival companies. I like original. The chest windows…kinda eh?